The kids of Beach Haven Primary School will be welcomed to the 2019 school year with a completely refurbed school yard thanks to the unique School Buddy programme launched by Kennards Hire in partnership with KidsCan, a national children’s charity. Beach Haven Primary School now boasts safe and clean school fields and an improved sandpit and exercise area, complete with fully refreshed playground equipment which was water-blasted to remove any dirt and debris. Over 50 volunteers worked tirelessly to make the day a success and complete the project in time. The School Buddy programme helps to create safer and engaging school environments for Kiwi kids with a hands on approach - focusing on low-decile rated schools. 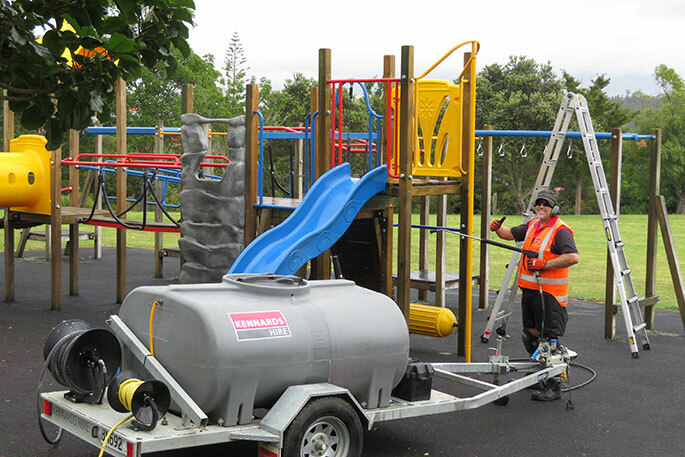 This programme sees every Kennards Hire branch in New Zealand partnering with a local school to donate much needed hire equipment, resources and manpower to help the school community improve and maintain school buildings, grounds and play areas. “It was wonderful to see the School Buddy Programme in action. I'd like to thank everyone who volunteered their time to create the facilities that these kids deserve. Kennards did a brilliant job making this happen. It was just awesome to see the kids faces as their new environment came to life," said Julie Chapman, KidsCan's CEO and founder. Kennard’s Hire Albany delivered equipment such as a mini loader, pressure washer, wheelbarrows, shovels and tools for weeding free of charge. The team also chipped in to lend a hand building sand pits, cleaning play equipment and cooking the BBQ for hungry volunteers. The event brought together parents, children, teachers, community members, rugby stars from North Harbour Rugby as well as special delegates, John Gillon, Chairperson, Kaipatiki Local Board and North Shore ward councillors, Cr Chris Darby and Cr Richard Hill. The attendees enjoyed the afternoon receiving rugby tips from some of the country’s top rugby players, topped off by a well deserved BBQ. 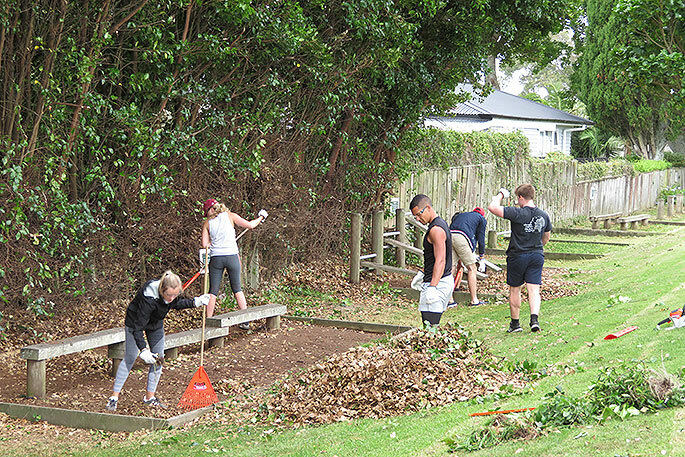 “It’s great to see our community come together to make an important difference in the lives of young Aucklanders. These upgrades and repairs will ensure children have a safe, nurturing and beautiful school environment that they can enjoy,” said Councillor Chris Darby. There are currently 22 schools paired with a local Kennards Hire branch as part of the School Buddy Programme around New Zealand, with more to come in the future.